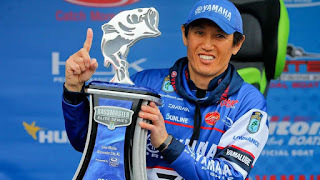 IBASSIN: Takahiro Omori Wins 2018 Bassmaster Elite Lake Martin with 59-08lbs! Takahiro Omori Wins 2018 Bassmaster Elite Lake Martin with 59-08lbs! Omori wins again on Martin. Tak wins with Lucky Craft crank bait of his own creation.